MBA in Marketing, Human Resources, Finance and Operations. It is a two-year full-time residential course with four semesters. The candidates willing to join any of the MBA programs in SIBM need to Register for the SNAP test first and then get registered with SIBM, Pune offering his/ her choice of program by paying separate institution registration fees. If shortlisted, he/she would then have to attend the GE, PI and WAT process conducted by SIBM, Pune. The students willing to take admission to MBA and MBA (IE) in SIBM Pune should have a Graduate/Bachelor’s Degree from any recognised/statutory University with at least 50% marks and 45% marks for SC/ST. Symbiosis Pune Registration can only be made online only. The candidates have to register for the SNAP Test also along with the SIBM Pune. If the candidates have already registered themselves for SNAP registration and appear in the SNAP Test then they need to fill the application form of SIBM Pune. The Application Process for SIBM is begun from 10 August 2017, and the last date to apply is 15 December 2017. The steps to fill the application form for the SIBM Pune is given below. The candidates are suggested to follow the steps and fill the form. Register for SNAP: In order to fill the application form for SIBM Pune, the candidates need to Register for SNAP by filling up some details after which the User ID and password will be generated for the candidates. Register for SIBM: Post choosing the programme, the candidates can register for SIBM with the same credentials they have used in SNAP Registration. In SIBM Registration Form, the candidates can fill for MBA and MBA (IM) programme. The candidates should be wary while filling the application form and should fill each and every section of the form by furnishing correct information. The candidates need not submit the hard copy of the duly filled in SIBM registration form to the concerned authority. However, candidates need to take a print-out of the application form for future use. SNAP Admit Card 2017 will be released from 1 to 17 December 2017, the candidates who have submitted the duly filled in application form along with the application fee will be able to download the admit card from this page. The admit card is an important document to be carried at the exam centre. Follow the link below to get the SNAP Admit Card. SIBM Pune Admission 2017-18 will be done on the basis of SNAP 2017-18 Scores. SNAP written test will be held in the third week of December 2017, the result will be declared in the first week of January 2018. The candidates who clear the SNAP Test will be shortlisted for GE, PI and WAT. Shortlisting of Candidates: Shortlisting of the candidates for Group Exercise, Personal Interview, and Writing Ability Test will be based on their overall SNAP Percentage. 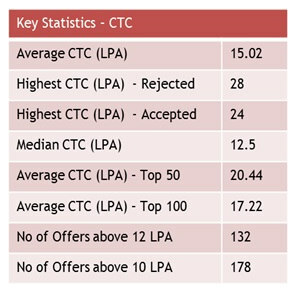 Category-wise cut off will be published on the website of the respective institute. The Shortlisted candidates will be called for the selection process at SIBM, Pune. The candidates must carry their SNAP Admit Card at the time of their GE-PIWAT and the other selection process. GE, PI and WAT Process in SIBM will be tentatively held on February 2 to 12, 2018. SIBM Merit List about the Weigtage for admission to MBA programmes in the various Institutes of SIU will be displayed on their respective official website. SIBM will release the final Merit List after the release of SNAP Merit List for the Students seeking admission in SIBM or Symbiosis Institute of Business Management. 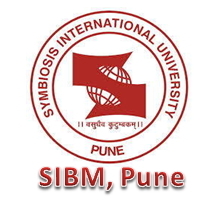 SIBM Merit List will be displayed on the official website of SIBM, Pune. No Separate communication will be sent to the students regarding the merit list information.